Dutch Oven - What exactly is it? Esther often helps friends and family to compare and select items for purchase, and has enjoyed praise and positive feedback thereafter. What Exactly is a Dutch Oven? 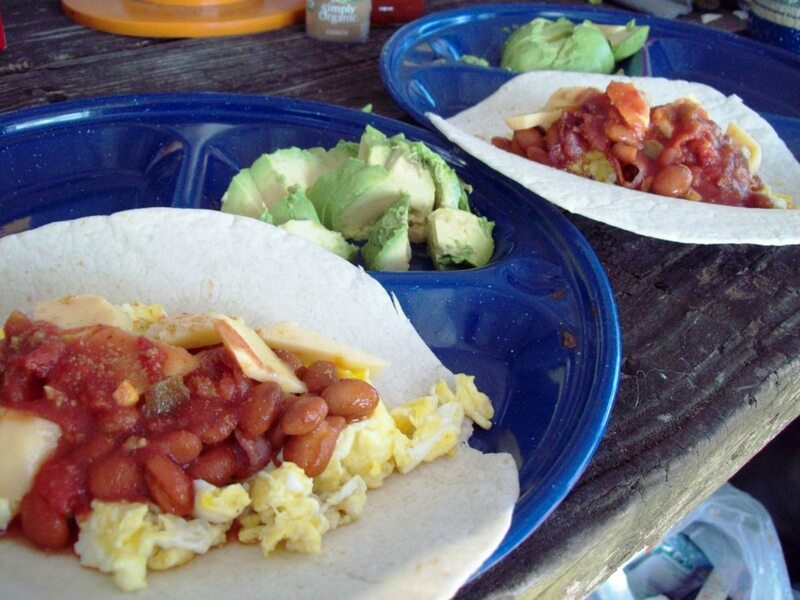 A dutch oven is a multipurpose cooking vessel usually constructed of cast iron. This cookware is also known by a number of other names including dutch pot, dutchy, casserole, and today comes in a range of colours and sizes to suit your decor and cooking needs. Cast iron cookware is celebrated for being an excellent conductor and retainer of heat and this traditional material for cookware has stood the test of time. It’s perfect for a variety of cooking methods e.g. long slow cooking (great for cheaper/tougher cuts of meat) frying, stir-frying, searing and more - and not forgetting you can even make bread and desserts in this pot. Some dutch ovens are made of aluminium but these tend to cook food somewhat unevenly in comparison to their cast iron counterparts and they do not retain heat so well. This cookware can generally be used on both gas and electric hobs, whilst some are particularly suited to solid fuel and camp fires. 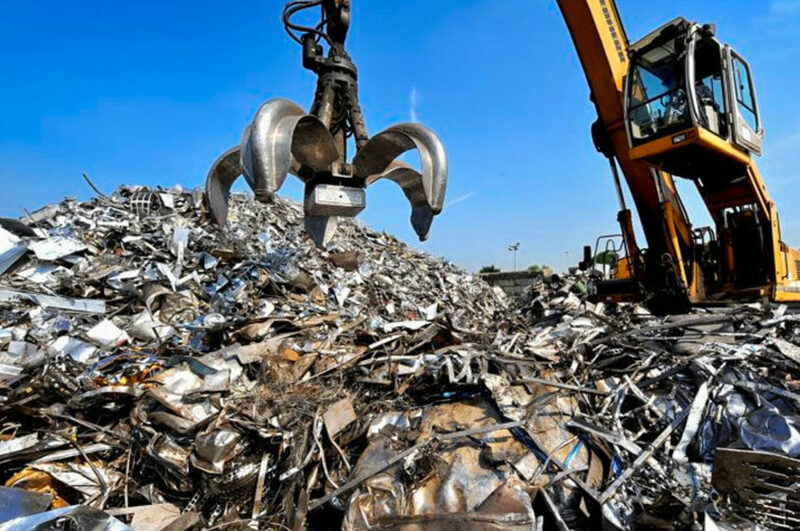 Many families hand down these heavy duty items from generation to generation, such is their durability and usefulness. Some dutch ovens are made of aluminium but these tend to cook food somewhat unevenly in comparison to their cast iron counterparts and they do not retain heat so well. For Dutch Oven cooking you could brown food in it on the stove top, then transfer it into the oven to finish cooking, and finally take it straight to the table and serve onto dinner plates from there. Fantastic one pot cooking and serving. (NB: If your family or guests are tardy coming to the table, the food keeps warmer for longer.) Some varieties have legs making them particularly suited to outdoor use. When referring to cast iron cookware, the term "seasoning" relates to care and maintenance of the item. Some cast iron items come pre-seasoned for first use, or enamel coated which means you may not need to season it at all. Seasoning involves a specific cleaning method and applying oil to maintain it. Over time seasoning naturally improves the "non-stickability" of this robust cookware, and keeps rust at bay. Always refer to the manufacturer's instructions for the "dos and donts" of caring for the item in question. The writer of this page inherited a somewhat ancient, but still very serviceable, dutch oven from a relative but decided to do lots of digging on present day versions when a colleague asked her to recommend a good one. This page details the three top picks which ended up on the shortlist, including reflections on the actual purchase made. This is the one the writer's colleague eventually purchased, having been impressed with the following features - but also having taken into consideration the good and bad points detailed a little further down. 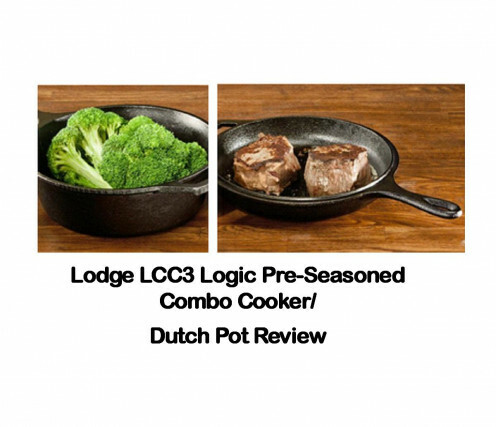 This item comes with a limited lifetime grantee and like many purchasers of the The Lodge LCC3 Logic Pre-Seasoned Combo Cooker/Dutch Pot, following the purchase, the colleague has remarked on its versatility, quality and durability (a number of reviewers said they expect to pass these pans on to their children/grandchildren). Although one reviewer said that since purchasing this item their household does 90% of the cooking with it the writer's colleagues later confirmed that it accounted for approximately half of the food cooked in her home, but she was nevertheless very satisfied. She most frequently used it to brown meat and vegetables etc in the lid/skillet, before placing them in the deeper pan, adding stock and then placing it in oven with the lid on to finish cooking. Reviewers tell how they’ve made bacon and eggs, steaks, fish dishes, stews, soups, cookies, whole chicken dishes and so much more – not to mention many have raved about amazingly delicious bread/Artisan bread they have made in it although the colleague has yet to try making bread. She did agreed that the long handles make it easier to manipulate the pot when hot, and in addition the holes at the end of the long handles facilitate storing this item in a hanging position. 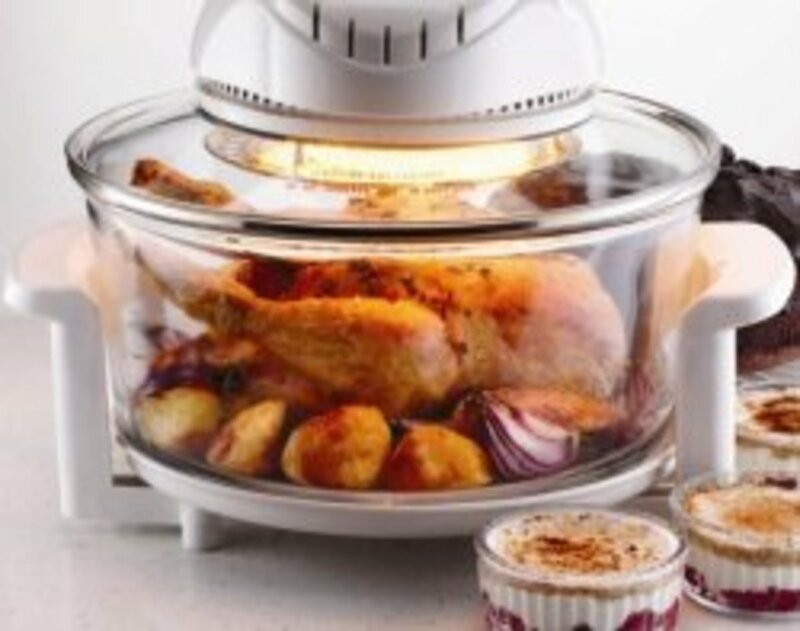 Getting everyone to the dinner table can take a while and the colleague was pleased that when cooking is ended, it keeps the food hot for a considerable time and so she has less need to reheat food in the microwave for example. In line with other reviewers, she felt it was a very resilient piece of equipment – so no fretting about it getting scratched. 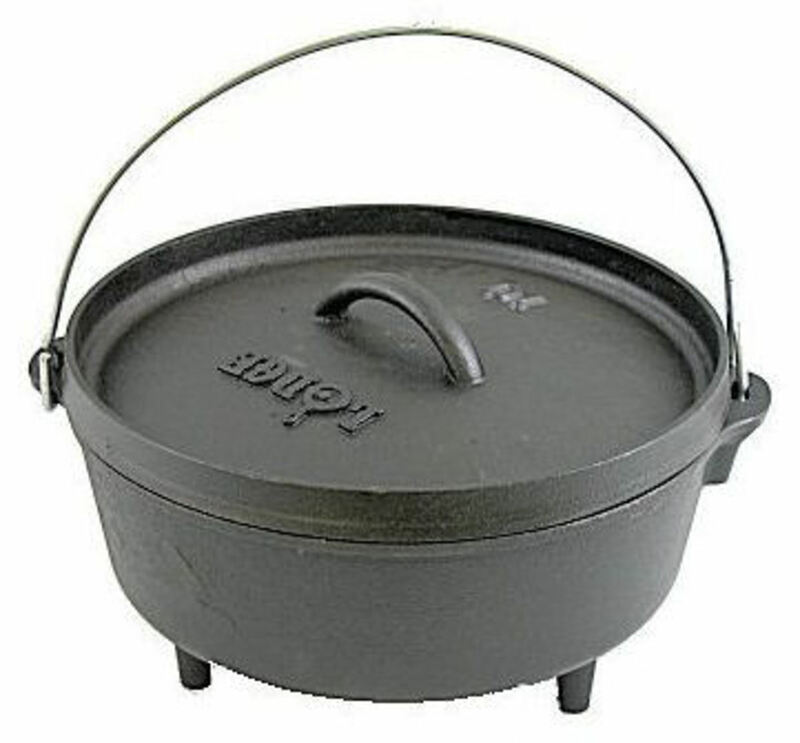 This lodge dutch oven comes pre-seasoned and ready to use but requires subsequent pre-seasoning. Although the writer's colleague found this can take some time and effort, it's well worth it as over time it become more and more non-stick without the need to worry about toxicity which can be a concern with cooking vessels sold with non-stick coatings. As well as seeing reviews for the Lodge Dutch Oven (the eventual choice of the writer's colleague), it is great to be able to take the opportunity to ask specific questions about the product and have them answered by Amazon purchasers who have already used the product. They are often eager to help and to share their knowledge and personal opinions of the item in question, all of which can be of immense help before parting with any hard earned cash. 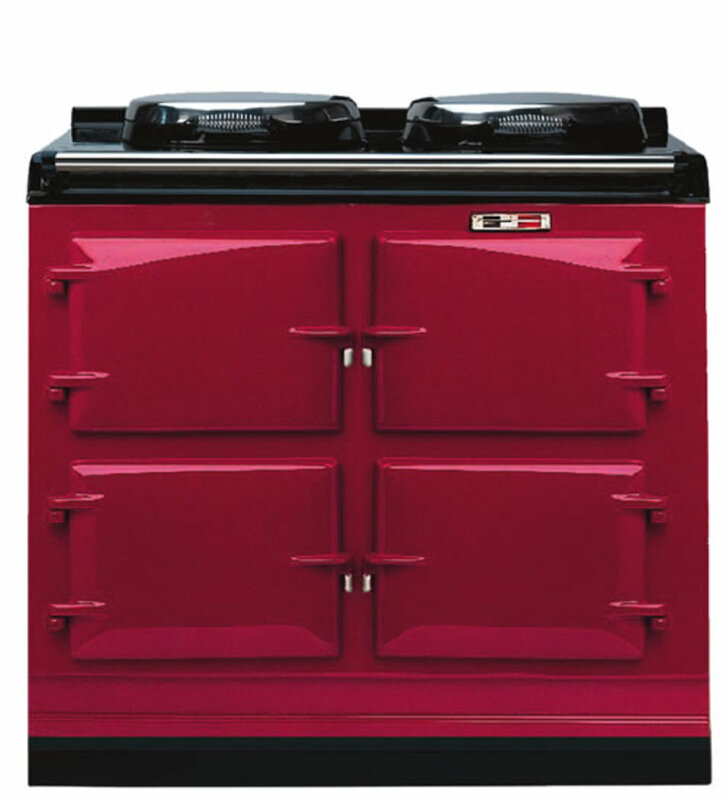 Of course the Lodge Oven wasn't the only product considered and bearing in mind what suits one person may not suit another, two others which made the short list are detailed below. That said, after having the Lodge dutch oven for a number of months, the writer's colleague said she could see why the vast majority of reviewers gave this item a 5 or 4 star rating. In particular she cited having peace of mind over health concerns about potentially toxic non-stick coatings on cooking appliances as being particularly important to her. Overall the Lodge LCC3 Logic Pre-Seasoned Combo Cooker/Dutch Pot was found to be fantastic value for money, and has fast becomes the “go to” cooking vessel in her kitchen. She also stated the option to cook separately in both the lid and base was a very useful and welcome bonus - akin to two for the price of one! She did however conclude that, for some elderly people or those with physical limitations, the weight of this item could be prohibitive and must be taken into consideration. Dutch Oven Cooking - Is the Following Statement True or False? Like the Lodge product reviewed above, theTramontina is a heavy item so be prepared! The plastic knob has a maximum heat limit (that said it may be possible to get a metal cover for it should you worry about using it a high temperatures but do check the manufacturer’s directions prior to using). The Tramontina 6.5 Qt Enameled Cast Iron Dutch Oven is eye catching, brightly coloured and shapely. This item is enamel coated providing a protective membrane on the inside. Therefore it does not require seasoning, as is the case with bare cast iron. The coating also makes it easy to clean. 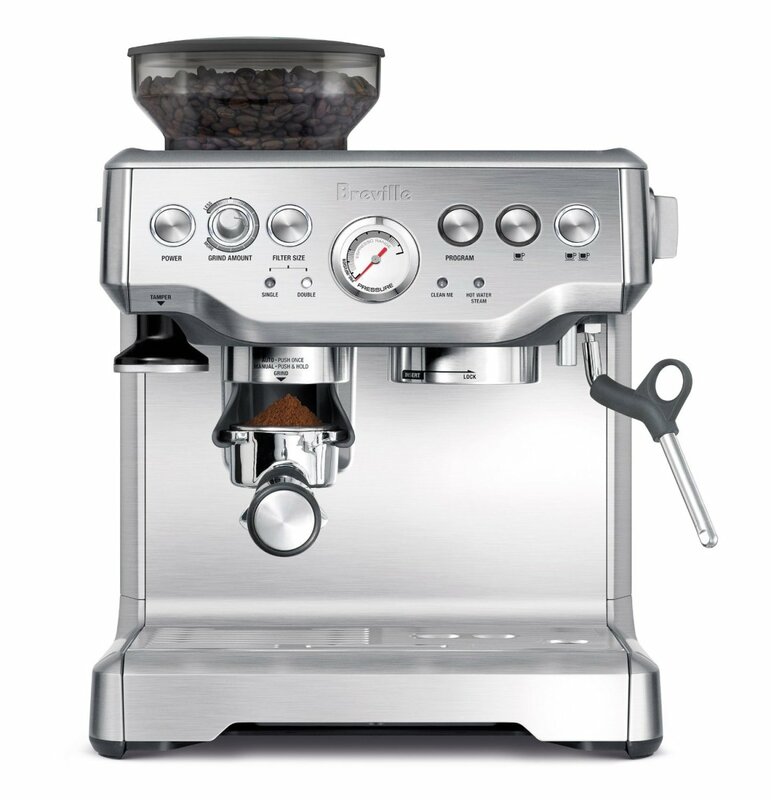 Reviewers commented that is it a praise worthy rival to its more expensive counterparts. In common with all such cooking vessels, it’s great for cooking from stove top, straight to oven. Users reported no burning when cooking at high temperatures and said it has a well fitting lid. In particular, reviews mention great results with no-knead breads, chicken, soup, stews, braising and more. 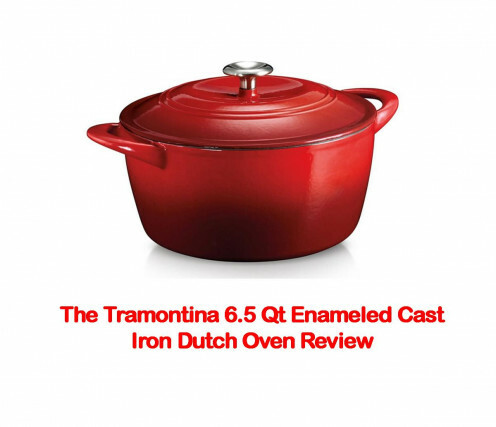 Although the Tramontina 6.5 Qt Enameled Cast Iron is an attractive and useful mid price range Dutch Oven with an overall rating of 4.6 stars out of 5 at the time of research, the writer's colleague considered it might be less durable than the above Lodge dutch pot in the long term, even though for those who demand fuss free cleaning and minimal maintenance the Tramontina might be preferable. There’s a choice of at least half a dozen colours to suit your kitchen decor. Le Creuset are celebrated for their superior quality and this is reflected in the asking price. Purchasers of this piece of cookware remarked on evenly and well it cooks, its versatility and easy clean up. Many use the attractive vessel from stove top to oven to table top. This 3.5 quart Le Creuset pot 3.5 quart Le Creuset pot is suited to cooking for up to 3 people approx (larger sizes are available). Once used it fast becomes indispensible in the kitchen – a significant number of purchasers said they loved this piece of cookware and wouldn’t be without it. Customers raved about the even temperature, and how the well fitting lid allows very little steam to escape and how the items hold heat for a long time. Like the Lodge product above, this Le Creuset cookware is hand wash only. Again, being cast iron, this dutch pot is heavy to handle but for the writer's colleague, possibly the biggest deterrent to buying this product was it’s price! 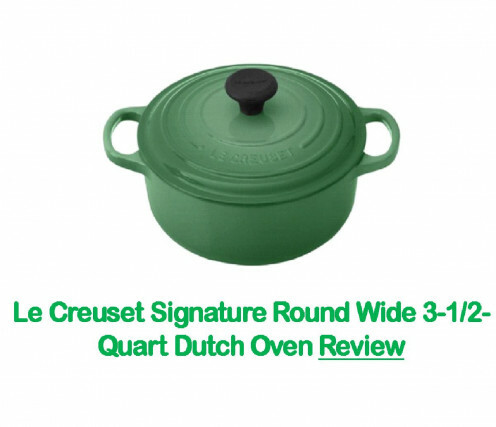 This item comes in a range of colours to suit most any kitchen decor and like the other items contemplated in making the final purchase this Le Creuset Signature Round Wide 3-1/2-Quart Dutch Oven is a highly rated product. It comes ready to use (no pre-seasoning due to the enamel coating, which also makes it easy to clean) but despite it being a high quality, well respected robust product, for the writer's colleague, it was simply too expensive to purchase bearing in mind her current and future fiancial commitments at the time of purchase. ... to the True/False Question above is - False - because yes, indeed, you can bake a cake in these traditional items of cookware. Imagine how much energy/fuel you might save in baking on top of the stove instead of heating a full size oven. The writer is very happy to say that her colleague is indeed very satisfied with her purchase of a dutch oven. The above research and enquiries helped her to find the right one for her needs and the item has lived up to the hype of being an adaptable and quality piece of kitchen cookware. As well as using it at home she has used it to good effect whilst on a camping weekend. Even though this item didn't come in a range of bright colours to choose from so that she could match her blue kitchen decor, on a practical level she wonders how she ever did without it! NB: When choosing and using new kitchenware, always refer to the manufacturer's specification and guidance to help ensure you use it safely and get the most out of the product. 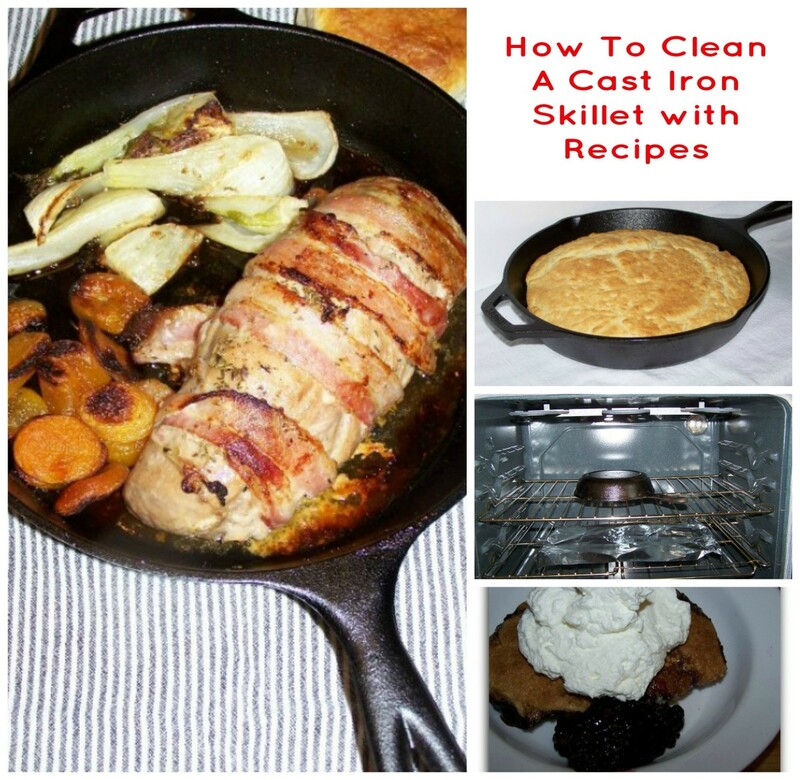 Cast Iron Skillet & Pan Recipes, Blackberry Cobbler and Bacon Wrapped Pork Tenderloin. Clean & Season Cast Iron Skillet.